Tile installation is a beautiful addition to any place. However, it can be challenging to work with. At Jordan’s Stone and Tile, we have the experience and knowledge – how to make your commercial or residential space into your dream. We have a wide selection of tiles in our shop and are happy to help you find the right tiles, stone and marble for your needs. Marble and tile installation are great alternatives for your renovation project. Those are providing a natural, easy to clean beauty to your kitchen and bathroom, while also being durable and long lasting. Marble floor or shower tiles won’t deform or stain the way many acrylic products will. With a range of price points, we can find the right material for you while staying within your budget. 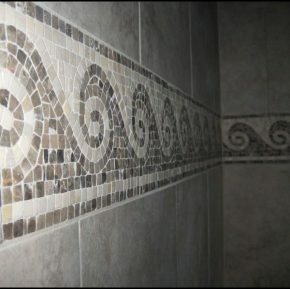 In addition to installation and maintenance, we can also help you design and build your own custom mosaic tile solution. We can help you fit a shower into your older home with its non-standard bathroom design, or provide a range of luxury additions. Jordan, I just wanted to let you know how much we are enjoying our new bathroom. Your design suggestions really made a difference to the shower and we really love the mix of limestone and glass. Your work is of the highest quality and everyone who has seen it is really impressed. I would not hesitate to recommend you for any job big or small. Jordan, I want you to know how much I appreciate everything you have done for me and the beauty you have created in my home. Before the floors were terrible and I cannot thank you enough for all of your hard work, dependability and professionalism. Thank you. I have known Jordan of Jordan Marble Design for the past eight years. 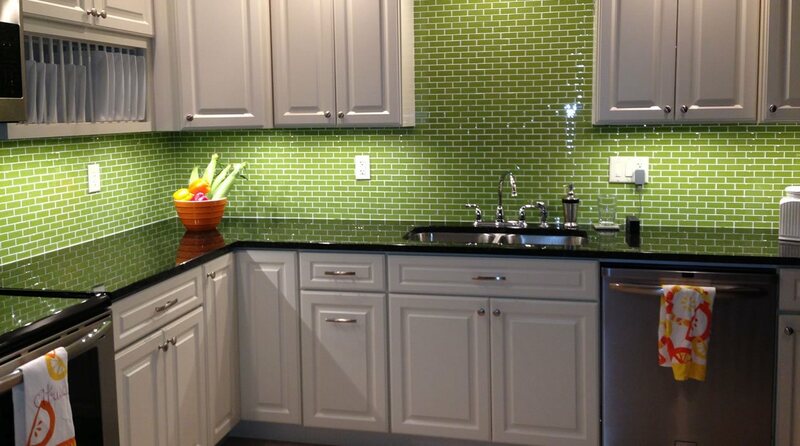 During that period of time we have done residential and commercial tile work together. 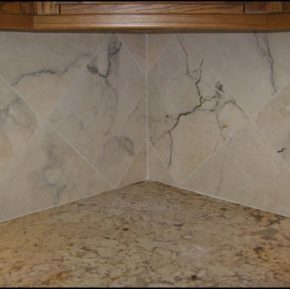 Jordan does excellent work with marble, granite, stone, limestone, slate, porcelain, and ceramic tile. I have found his work ethic to be excellent and his job execution to be of the highest quality. I have personally known Jordan for 20 years. There’s not too many qualified tradesmen that have the skill levels this man has acquired working around the world… Jordan is versed when it comes to what types of stone or ceramic should be used when and where. In this business you must know all of your setting materials and when to use them…He understands the word, “service”: he always calls clients back on his own accord to see if there have been any problems with any of the work that was done. Jordan does take a little longer to complete [the job] than your average installer due to the time he allows for his products to cure before the next step. He also checks the substrates and construction prior to starting his jobs. If there is anything that may cause his job to fail prior to installation, he will let the client know before he starts, and will rectify the situation as soon as possible…Overall, and in closing, you could not have a trade that cares so much about the quality of his work…Over all of the years we have worked together, I have never had a dissatisfied client, and that is a statement I’m proud of. Always phone calls thanking me for the wonderful job. Jordan Udrea has been a client of ours at Universal Slate for over five years running. In that time, we have worked with literally dozens of his clients and have heard nothing but glowing words coming from them when asked about Jordan’s work. Jordan is a tile-setter and mason who excels and specializes in applications that are guaranteed to last the test of time. This is apparent in his generous warranties: depending on the application, he warranties his jobs from 1-5 years. But, he always tells his clients to call him if they have a problem, no matter how many years ago the installation was. There are a large number of homeowners who are looking for a DIY project to lower cost for installation. Tiles are not costly at all and installation cost might also be less if those are installed personally. 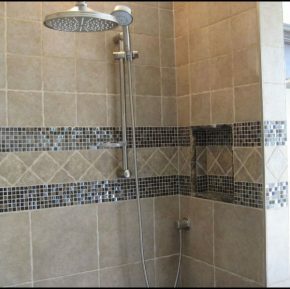 People do tile installation for covering backsplashes, floors and walls. Tiles offer a good variety to any room in a house and they also work towards sprucing up the room and making it colourful and bright. If they are installed properly, there is nothing that can stop them from providing long years of use without any sort of added maintenance. To get lower cost for installation you should follow the steps which have been mentioned below. The very first thing that you need to do in order to install tiles in a cost-effective way is carried out a thorough procedure of tile selection. It is important for you to choose the right-sized tiles that will be able to compliment your room without the need for proportion. Do not go for small size because they feature an appearance that is very similar to a chess board and this makes the rooms look cluttered. But at the same time, you must also remain aware of not going for very large size because they can make the rooms look odd. Small measure 1 inch by 1 inch while the larger ones measure 12 inches by 120 inches. 3×3 to 4×4 is the ideal size that you must choose. Tile installation also available in different varieties and it is necessary for you to go with the variety that best suits the look of your house. You can go for ceramic, porcelain, travertine or glass tiles featuring specific patterns, baked or glazed on top. 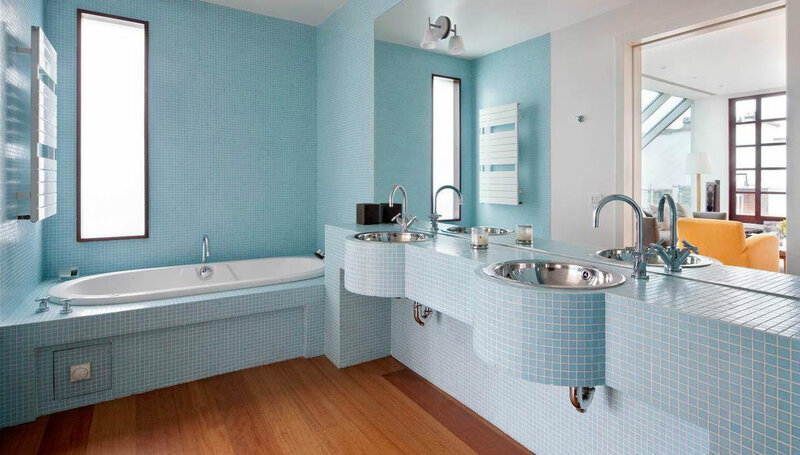 On the other hand, you can go for mosaic tiles because they are perfect or all types of surfaces. They do not chip very easily and they also possess the ability to resist moisture to a considerable extent. Another option for you is quarry tiles made with the mixture of clays. Post choosing the right variety of tiles for the room in your house, you must start with the procedure of setting out them on the surface. Remain aware of putting a kind of plastic spacer in between tiles for maintaining uniform spacing. Try laying out as many full pieces as possible. Start from a corner and apply the adhesive in 2X2 square sections. The pieces need to be laid out carefully and pressed onto the adhesive. Make use of a very soft mallet for gently easing them into adhesive. 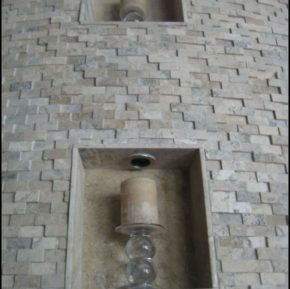 The spacers should be kept in place so that the tiles are spaced ideally. Leave the installation overnight. You must make sure that the border tiles are laid carefully so that they perfectly fit the sides of the walls. Here, it is essential for you to make use of a tile saw or cutter for cutting the border tiles. Here again, you need to use the adhesive and work on the border tiles. This is a very easy step where you need to add grout. Grout in a kind of construction material which is used for ideally filling the tiles voids and joints. You can purchase cement-coloured grout or the colour-tinted forms available throughout the market. Do not go for light coloured or white tints because they tend to get dirty very easily. Grout should be added carefully through the process is not very complicated. This is the last step of the installation. The procedure is not a complicated, it just needs a lot of patience and free time. If you want to reduce the costs, then the best way is DIY installation. Make sure that tile installation is done in the correct way otherwise you might have to spend a lot of money on replacing the tiles.